Sugar Bowl sold to alums Nathan Todd (‘09) and Brittany Todd (‘10) who hosted a meet-and-greet for the Decorah and Luther communities on May 5. Kelli Gapinski (‘17) and Stephanie Duregger (‘17) enjoy ice cream during the Sugar Bowl Meet and Greet. 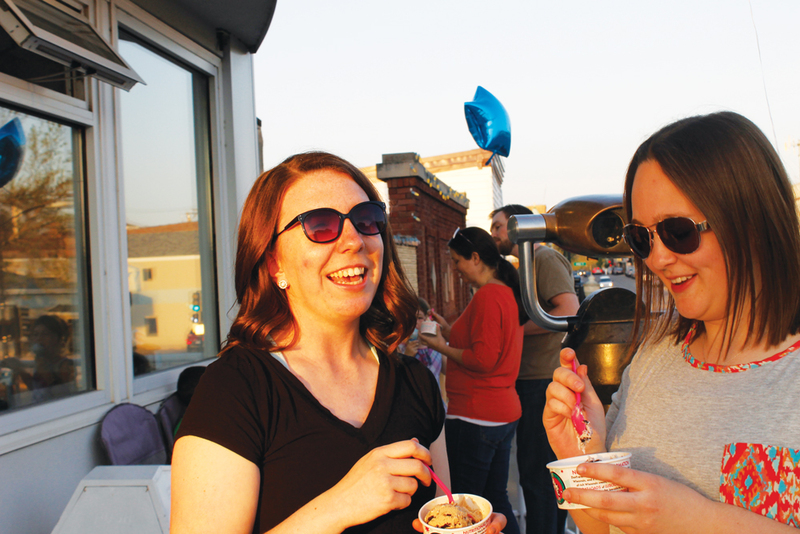 This spring, the ice cream parlor Sugar Bowl came under new ownership as the previous owner Craig Running decided to sell the small shop to Luther alumns Nathan Todd (‘09) and Brittany Todd (‘10). The Todds held a meet and greet on May 5 to get to know their customers. Running started designing the project in 1999 that eventually became the Sugar Bowl. His favorite memories of the Sugar Bowl revolve around the major life events of Luther students. 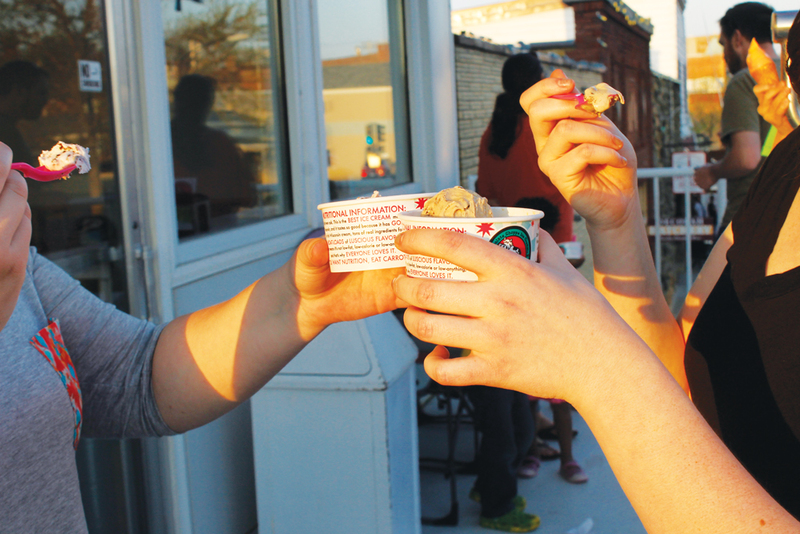 One Luther student put his engagement ring for his girlfriend in the ice cream. Another student asked to rent the shop after hours to propose to his girlfriend, decorating the place in crepe and candles. Students have also used the building for wedding and graduation parties. Kelli Gapinski (‘17) and Stephanie Duregger (‘17) cheers with their ice cream dishes. Running sold the company to Nathan Todd and Brittany Todd, who also own Photography by Brittany, across the street. In his time at Luther majored in physical education Nathan Todd and later earned a Master’s degree in management and leadership. A research paper for his degree planted the idea to purchase the Sugar Bowl. During this transition period, Running said he would work with them on an as-needed basis, but has a lot of confidence in their abilities. On May 5, the Todds held a meet-and -greet at their new business, introducing themselves to the community as the new Sugar Bowl owners. They also introduced a new flavor of ice cream, lemon poppy seed as well as soy ice cream — a vegan alternative to the other flavors in the store. Despite having mixed feelings about selling the business, Running said he spent a lot of time creating and growing the business and was ready to start new projects. Gapinski, who had connections to the Todd family before they purchased the Sugar Bowl said she was happy for their new purchase and the future of the business. “I’m excited to see the business grow and, knowing the family, see the kids grow up and hang out at the Sugar Bowl,” Gapinski said.